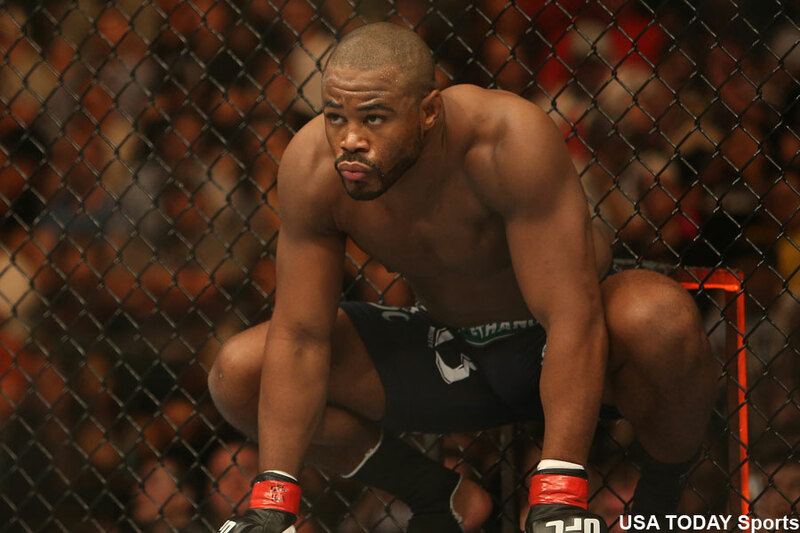 Rashad Evans (pictured) will be riding a two-fight winning streak into Saturday’s shootout against Ryan Bader at UFC 192. However, nobody really remembers that because Evans hasn’t been seen since beating Chael Sonnen in November 2013. Following surgery to repair the ACL in his knee and complications during recovery, the former UFC light heavyweight champion has become somewhat irrelevant in this what-have-you-done-for-me-lately sport. Much has changed in the 205-pound landscape since Evans last took center stage. First and foremost, there’s a new king sitting atop the throne after Jon Jones was stripped of his title following April’s felony hit-and-run arrest. Evans is presently ranked #5 in the division, but he’ll drop another slot once Jones is reinstated after coping a plea deal in court Tuesday. Now 36, Evans looks to take the first step back to relevancy on his surgically-repaired knee. Ring rust is real, and it should be abundant when Evans collides with Bader, who is one of the hottest fighters in the division having won four straight scraps. Given Bader’s current run, Evans believes a win would put him right back in title contention. That might sound sweet to “Suga,” but probably not realistic to the rest of the MMA world. Will Evans ever don the UFC belt again? Most likely, no. Can he at least be a top-tier fighter in this young man’s game? Possibly. A win over Bader would be a big step towards reclaiming relevancy. On the flipside, a loss could signal the beginning of the end.